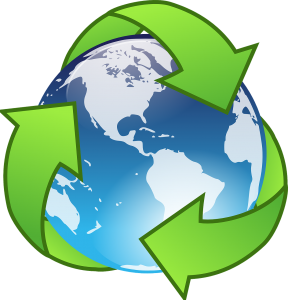 We have a wide-ranging recycling policy which includes stringent separation of everyday office and yard waste. Food Waste: As part of our everyday waste recycling programme, we separate all food waste. Grounds Waste: Additionally, we mulch plantings which have been cleared as part of our grounds maintenance servicing. All of these all-natural materials are added to our on-site compost heap which is then, when sufficiently decomposed, utilised as part of our fertilizer programme. Asphalt Recycling: When we have broken down asphalt in preparation for repairs or resurfacing work, we work with a plant which takes the debris and recycles it into reusable asphalt. Tar Recycling: When completing tarring works, our first priority is to measure as close in approximately to what is needed. With that being said, it is common to still have a bit of leftover tar which has gone “cold”. When this happens, we work with the same plant which recycles the tar for re-sale. Smaller Vehicles: We are committed to utilising smaller, lighter vehicles as and when possible to ensure we produce the lowest possible emissions and utilise the lowest possible petrol. For example, instead of utilising 18-tonne winter maintenance gritters, we have sourced pre-wetting gritting systems which can be fitted onto a standard pick-up truck whilst providing the same, if not better, level of coverage. Servicing of Vehicles: Our Fleet and equipment is regularly serviced and maintained in order to ensure the lowest possible emissions and to maximise economy. Click here to download our Environmental Policy. Click here to view our ISO14001 Environmental Management Certification. If you’d like to request information about our services, click here. Or, alternatively, click here to learn more about our corporate responsibility. Get in touch with us for some more information or a quote today.